Each client who comes to The Law Office of Chad M. Powers is treated as an individual with unique experiences and perspectives. I take the time to get to know them and their needs and goals and tailor legal strategies accordingly. Clients who entrust me with an important time in their lives are my responsibility and I take that responsibility seriously. 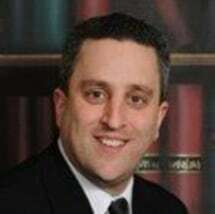 I handle all aspects of their divorce cases without passing anything on to lesser experienced associates or paralegals. My experience in mediation has revealed the numerous benefits of a more peaceful process to resolve divorces and the issues related to the end of a marriage. Resolving disputes outside of court also helps with future interactions and protects the best interests of children. Yet, some divorcing couples cannot find that all-important common ground and require an attorney skilled and successful in litigation. At my Riverhead law firm, I make myself available for my clients when they need me. That includes regular business hours, evenings and weekends.